Have you even been glamping? A “glamorous” form of camping, glamping is great for those who want some of the creature comforts not usually available with traditional camping. A mattress, hot shower, heated blankets and electricity are just a few things you may find when you arrive at your glampsite. Glamping is a fun way to enjoy the outdoors and reconnect with nature, especially without getting your hands dirty! Places to stay come in all shapes and sizes, from rustic cabins to safari tents to airstream campers. And the amenities run the gamut from wi-fi and cable TV to shampoo and an outdoor shower. Just minutes outside Portland, there’s a cozy safari tent in the middle of wine country that offers a quiet respite from the hustle and bustle of city life. From the main road, past a beautiful gate, down a gentling winding gravel driveway, nestled in a patch of woods with views of the stars is Camp Heaven. It’s the perfect place to settle in after a day of wine tasting. Beyond a red barn lays an outdoor kitchen area with bottled water, ice in the cooler, a BBQ, a wash tub and a bouquet of flowers to welcome glamping guests. 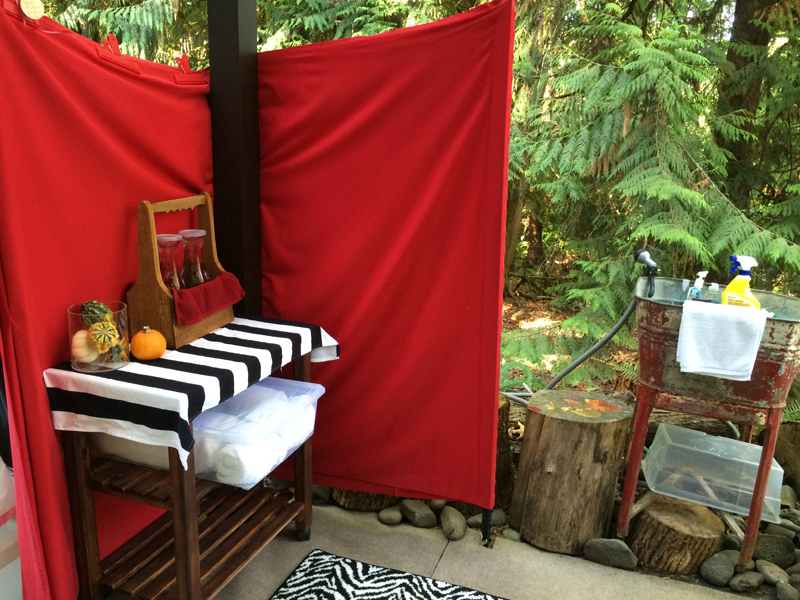 Nearby is the outdoor shower, with a cheeky shower curtain and a surplus of plush towels. Owner Lila Schnell has instructions for how to use everything, along with her cell phone number, just in case. Upon arrival, the safari tent is buttoned up, likely to keep the many chipmunks zipping around the property from snuggling in the bed. Once inside, the interior of the tent is wrapped in soft materials and cozy warm. A nightstand on either side of the bed holds glamping essentials; flashlights, LED candles atop silver holders, a space heater and the heated blanket controls. Fuzzy robes, a coffeemaker and a DVD player with a small projector offer glampers a taste of home away from home. Just a few steps out the tent flaps is a firepit stocked with plenty of wood and ready to light and a small dining table with games to keep guests entertained. Surrounding the campsite are several ground-level solar lights, bright enough to light your way but not so bright as to prevent stargazing into the night sky. 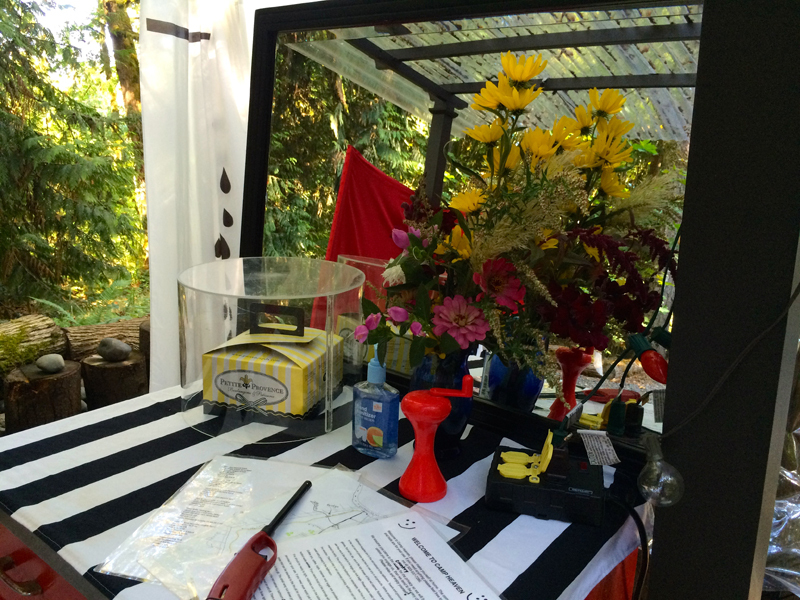 Everything is colorful, cheery and clean– glamping at its best! As you near Camp Heaven, you may notice the blue winery signs, directing visitors to neighboring wineries including Ponzi Winery, a mere two miles away. 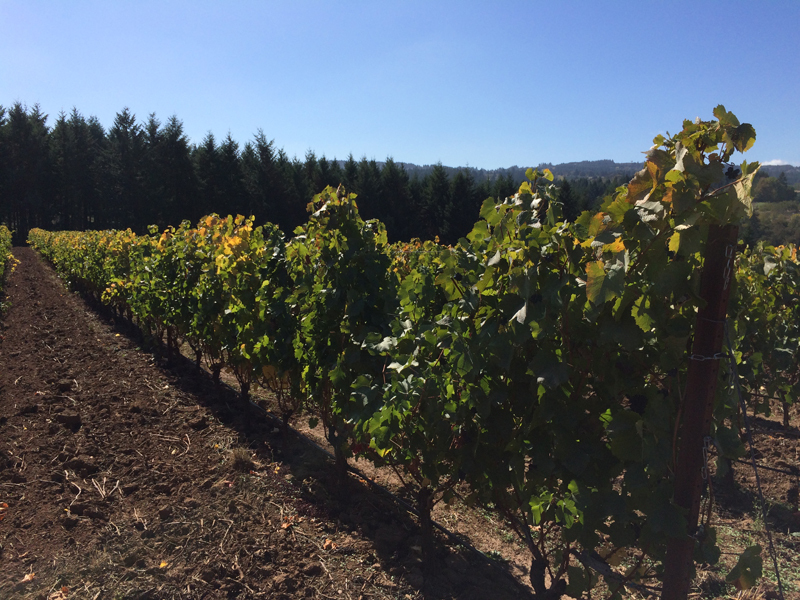 The Ponzi family was one of the first to plant grapevines in Oregon’s Willamette Valley back in 1970. Now second generation winemaker Luisa Ponzi is making the wine and their new winery facility and tasting room is worth a visit. 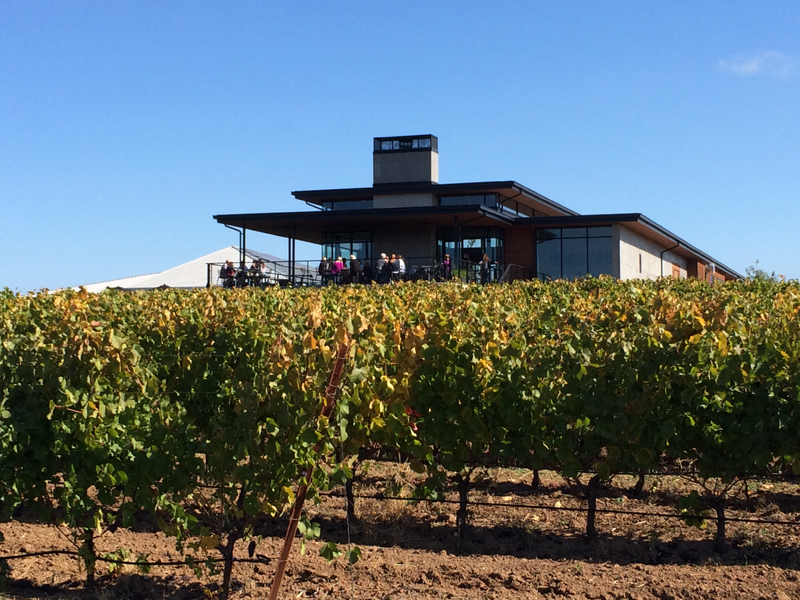 Specializing in grapes that enjoy the Northern Oregon climate, visitors to Ponzi Winery can expect to taste Riesling, Chardonnay and Pinot noir while gazing over straight rows of vines and rolling hills. 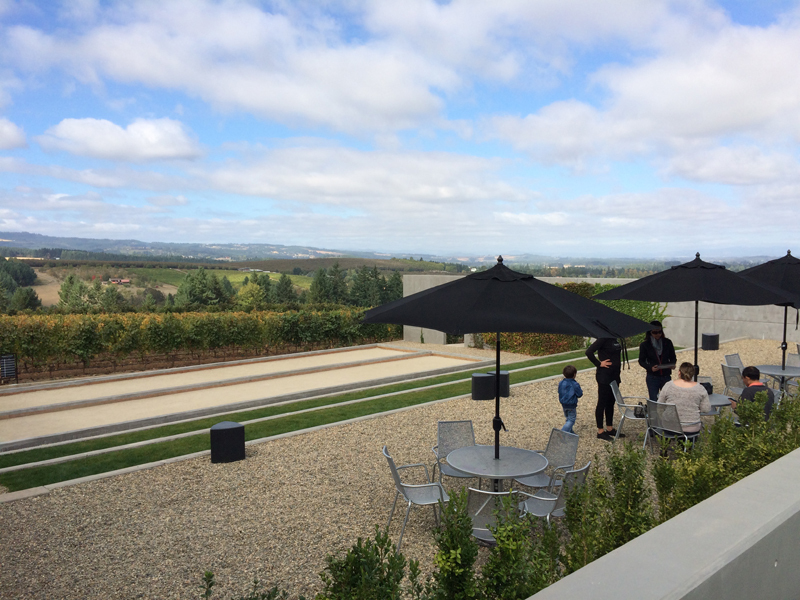 Outside are a couple bocce courts, tables, expansive lawns and a deck perched off the tasting room that offers stunning views from all directions. 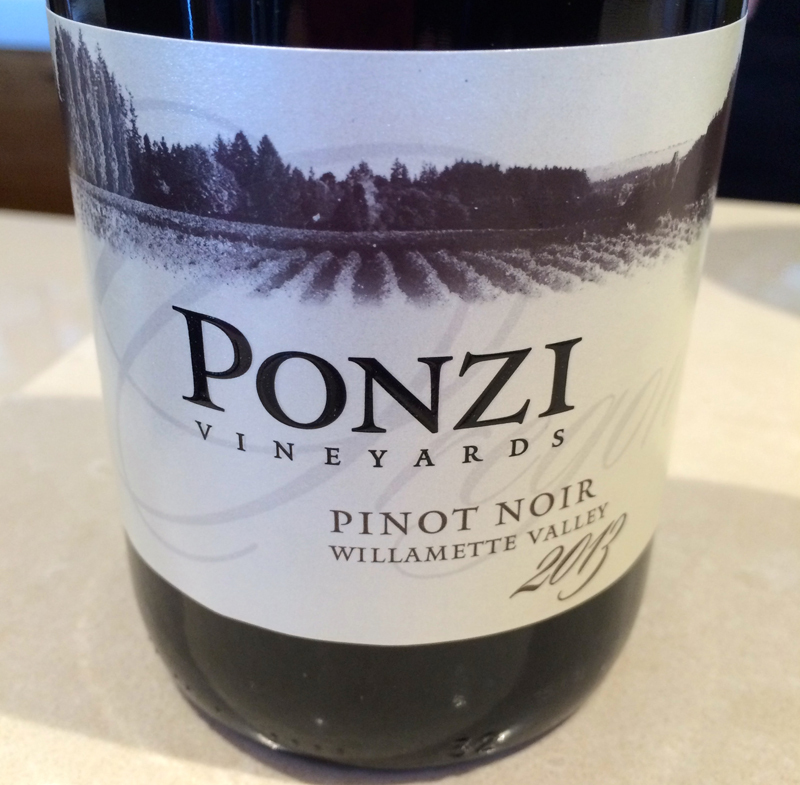 Current wine release standouts are the 2012 Ponzi Vineyard Chardonnay along with their 2013 Willamette Valley Pinot noir. With notes of citrus, almonds and cantaloupe, the Chardonnay retails for $60. The 2013 Willamette Valley Pinot noir sells for $40 and is a cuvée blend of grapes from across the valley with flavors of cranberries, cherries and smoked bacon. If you don’t feel like BBQing back at Camp Heaven, consider dinner in Newberg at the Allison Inn’s Jory Restaurant. 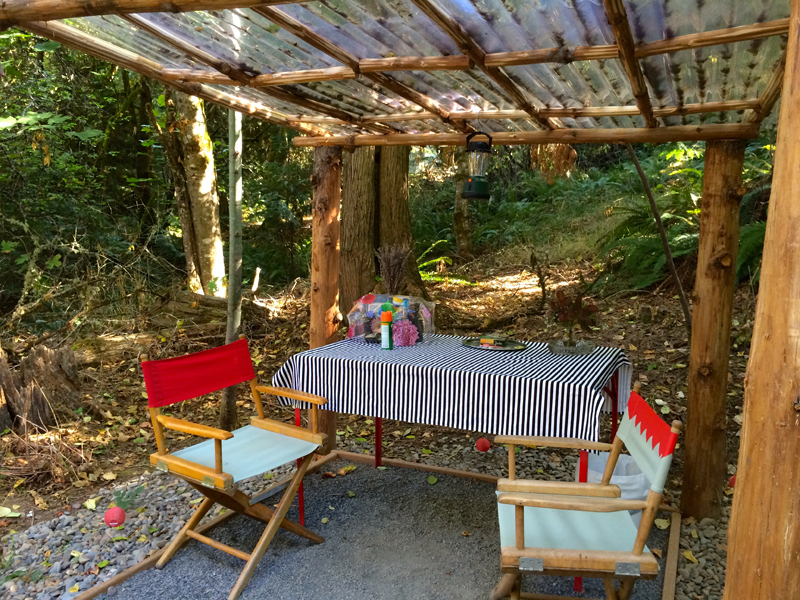 A little over seven miles down the road, it has glamorous dining options to match your glamping trip. Comfortable chairs at the bar offer a front row seat to the grills and various chefs cooking in the kitchen. 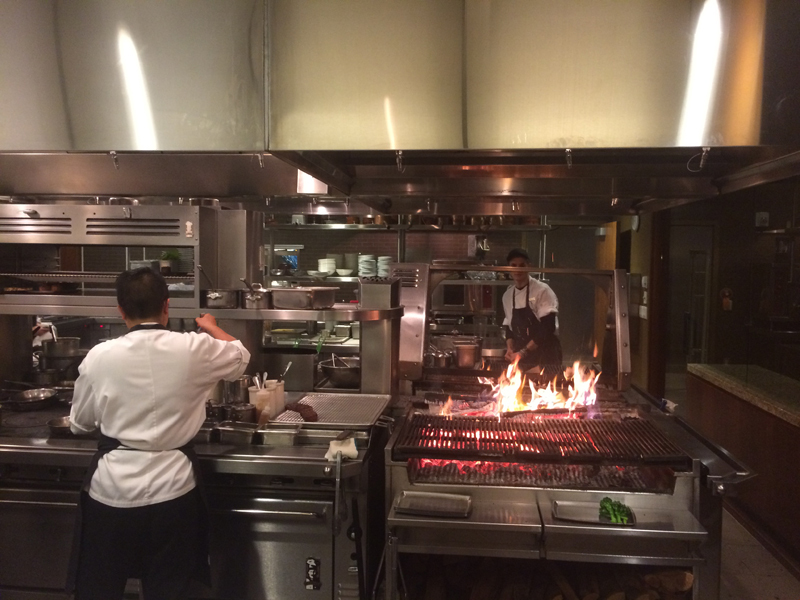 An added bonus is the proximity diners have to the soft din of methodical cutting while heat and sizzle radiate from the grills. The bar menu is slightly more limited than the restaurant offerings but the prices are scaled accordingly as well. A light meal of two glasses of wine, a bowl of soup and a salad ring up at just $50. For locals and visitors to Portland, Camp Heaven is a perfect destination to call home base while enjoying the many wineries in the Willamette Valley. Whether or not you choose to dine out or barbeque, one thing is certain– you’ll be sleeping in a comfy bed while surrounded by trees, and no tent pitching required. 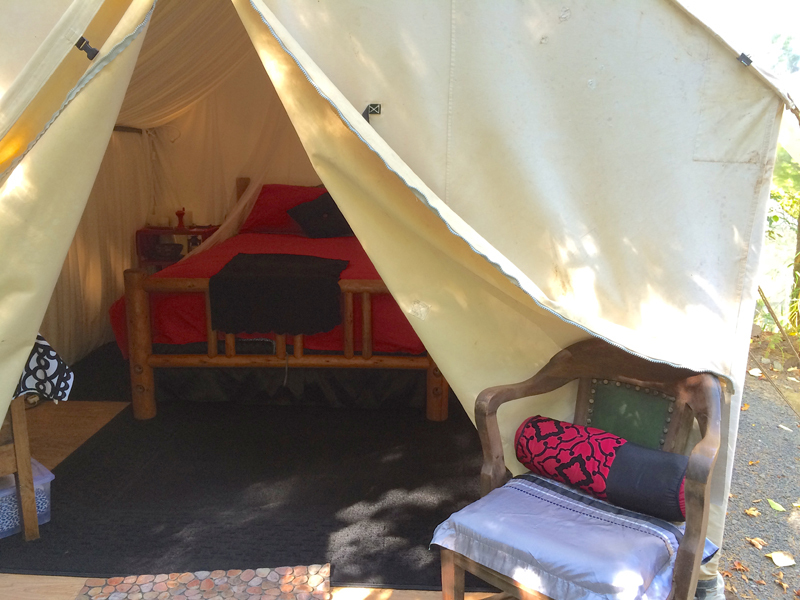 Glamping is a great way to recharge your batteries and enjoy a quiet night or two in the forest. This article was also published on Examiner.com. 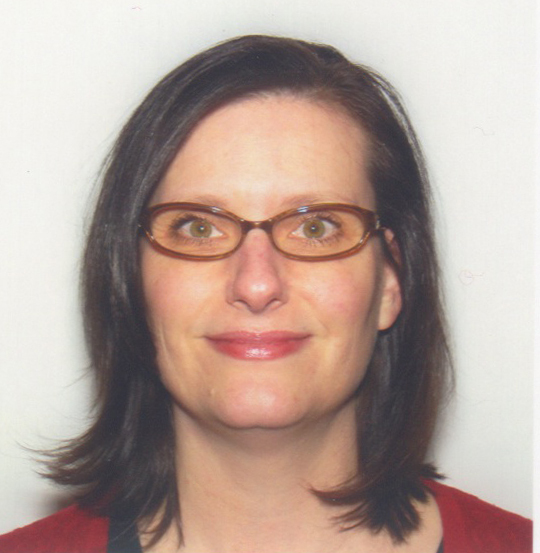 Click here to review our legal policies and disclaimers. Glamping looks like my kind of camping!!! Love it. Hi Melissa- We did too! 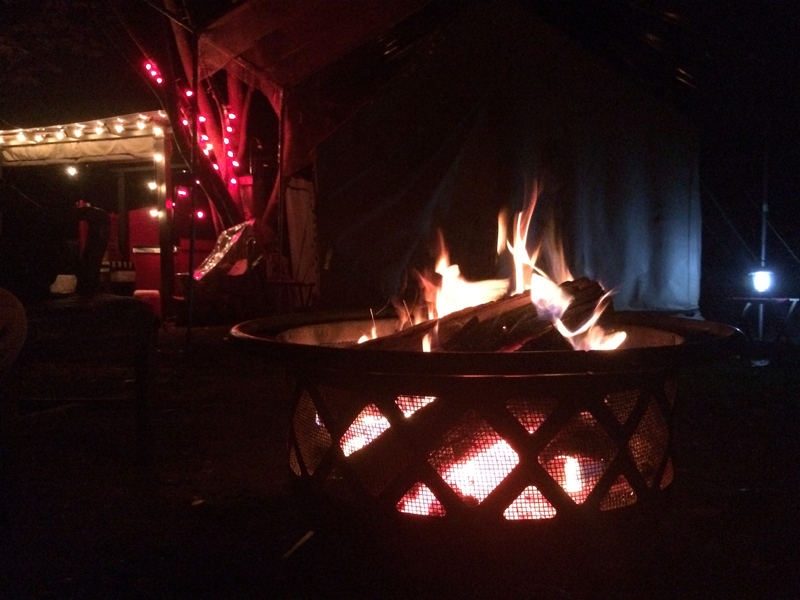 You ought to try glamping since it’s so much easier (and comfortable) than traditional camping. 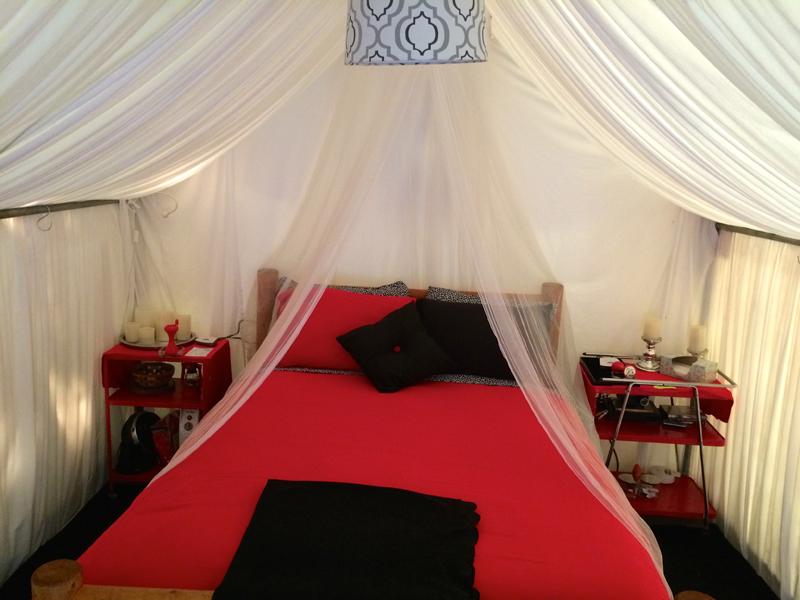 I have been to The Allison and while NOBODY would call that glamping I loved it! The building itself is a work of sustainable art and the lovely glass water bottles a super nice touch. My personal recommendation while exploring the Willamette Valley and it’s wonderful vinyards and restaurants is a 1/2 day ride with the good folks at Sip Saddle & Ride. Now that’s glamping! Greer- what a fun adventure you had in the valley. Thanks for sharing and we might have to check out the riding tours with Sip Saddle & Ride. This glamping spot is adorable! It’s not far from where I live so the next time we have friends looking to want to camp nearby, I’ll direct them here. We’re members at Ponzi and love that this is so close to it! Thanks for the tip! What a great idea Marlynn! It would make a great “guest bedroom” during the summer months. Love this article. This is about the only way you’ll ever find me sleeping outdoors. 🙂 Keep ’em coming. All the luck to you. Cheers! P.S. How do I sign up for your newsletter? Hi Edwin- Thanks for the kind words! Until I get my email signup plug-in sorted out, I’ve added you manually so you should begin to receive notifications as future articles are published.